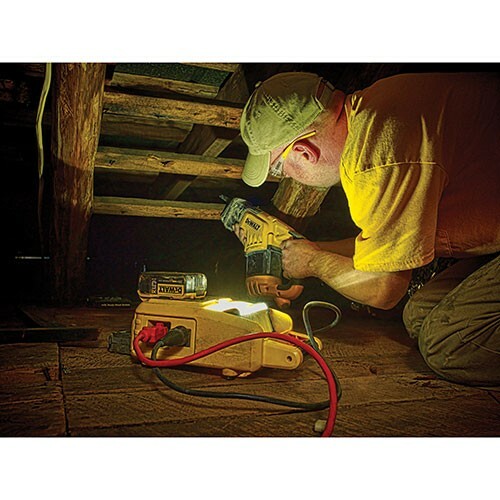 DeWalt is introducing a few new LED lighting solutions that should meet the delight of anyone who has ever work in a confined space during the summer heat. Whether you need a little light or a lot of light DeWalt's new LED Hand-Held Light, or their new Area Light should have you covered. The new Area Light comes in two options; one that runs on 18V or 20V MAX Batteries (DCL060), and one that runs on both DC batteries and AC power (DCL061). DeWalt says they have a light output "comparable to halogen" lights, "but with significantly less heat output". With a light temperature of 6100K, the color of the lighting should be close to actual daylight, which could be critical when you need to properly identify the colors of objects. 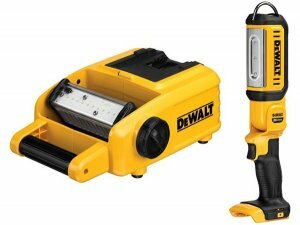 Delivering 1,500 lumens of light, DeWalt says the lights can run for up to 2.5 hours when paired with a 4.0Ah battery. It looks like the head of the light can be pivoted to point the light where you need it. The DCL060 and DCL061 bare units will retail for $99.00 and $119.00, respectively, and will be available in July. DeWalt is also introducing a Hand-Held LED Light, but unlike the bigger area lights, the DCL050 Hand-Held light only works with the 20V MAX style batteries. 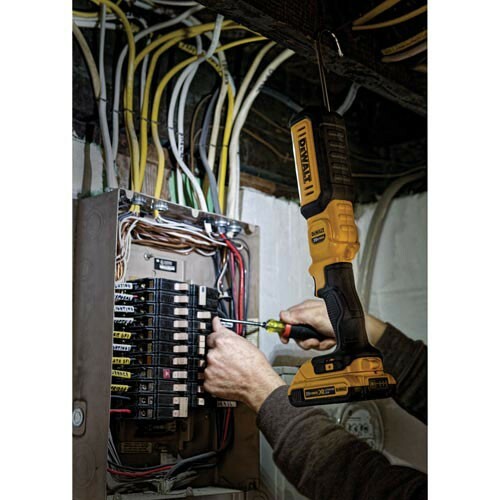 Featuring a rubber over-molded grip similar to what you might find on a DeWalt cordless drill, the light is easy to handle, but it can also be set down or hung with the built-in hook. The head can also be pivoted to better point the light where you need it. The DCL050 features two brightness setting of 500 and 250 lumens and can provide up to 17 hours of light when used with a 4.0Ah battery. The DCL050 20V MAX* lithium ion LED area light will have a suggested retail of $69.00 and will be available in June.